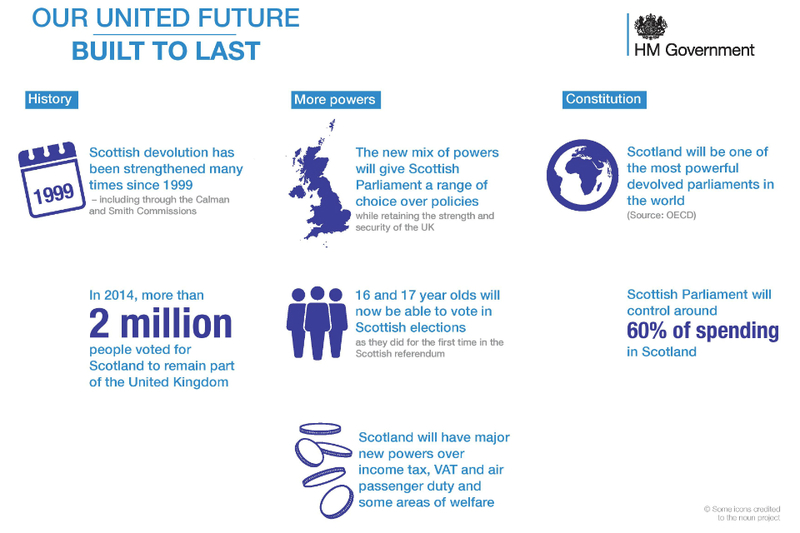 More powers for Scotland - what happens next? 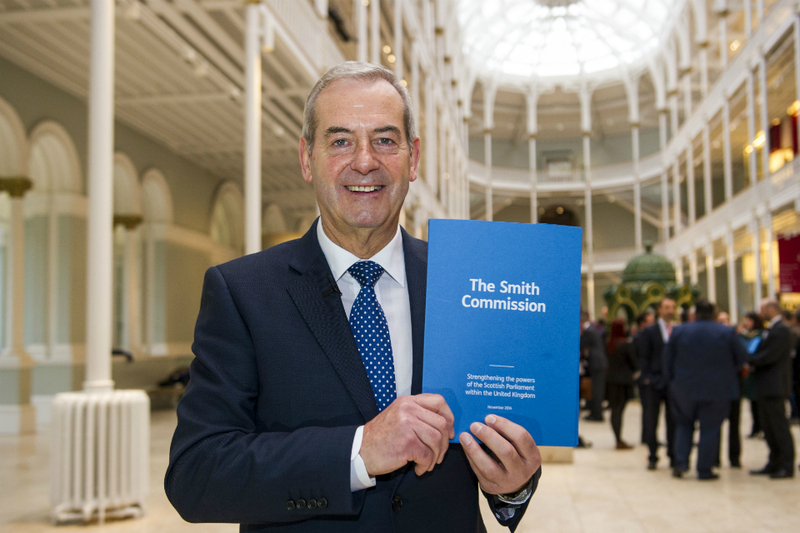 The UK government has published draft legislation on the further powers for Scotland set out in the Smith Commission Agreement. On 18 September 2014, the people of Scotland voted for Scotland to remain as part of the United Kingdom. On 19 September, the Prime Minister asked Lord Smith of Kelvin to set up a cross-party commission to take forward the commitment to guarantee new powers for the Scottish Parliament made by the 3 main UK political parties (Conservative, Labour and Liberal Democrats) during the referendum campaign. On 27 November the Smith Agreement was published and this included recommendations, agreed by Scotland’s 5 main political parties (the Scottish Labour Party, the Scottish National Party, Scottish Conservative Party, Scottish Liberal Democrats and the Scottish Green Party), to devolve specific further powers to the Scottish Parliament. On 22 January the UK government published draft legislative clauses, the next stage in our commitment to deliver further powers to Scotland. What are the new powers? The new powers are extensive and will see the Scottish Parliament control around 60% of spending in Scotland. This is an important breakthrough, which increases the accountability of the Scottish Parliament. It will make it the world’s fifth most devolved administration in terms of revenue it raises and the third most in terms of revenue it controls. UK legislation will state in law that the Scottish Parliament and government are permanent and given wide-ranging new powers over how they are elected and run. The Scottish Parliament will be given the power to legislate to reduce the voting age to 16 for Scottish Parliament and Scottish local government elections. Future Scottish parliaments will have the power to set thresholds and rates for the non-savings and non-dividend income tax of Scottish taxpayers. That revenue will remain in Scotland. In addition to the tax-raising powers already or soon-to-be devolved, half of VAT receipts raised in Scotland will go to the Scottish Parliament. Air Passenger Duty and the Aggregates Levy will be devolved to Holyrood. Additional borrowing powers will be agreed between the 2 governments. The Scottish Parliament will have the power to legislate for discretionary payments to people in any area of welfare. The Scottish government will be able to vary the frequency of Universal Credit payments and vary the housing costs calculation within Universal Credit. The Scottish Parliament will have the power to set the rules about a wide range of benefits which affect carers and disabled people, and will also have powers to make employment schemes to assist those at risk of becoming long-term unemployed, and to help disabled people into work. The Scottish Parliament will have the power to allow public sector operators to bid for rail franchises funded and specified by Scottish ministers. The Scottish functions of the British Transport Police will be devolved. Scottish ministers will have more extensive executive powers over speed limits and road signs. Licensing of onshore oil and gas extraction will be devolved to the Scottish Parliament. Powers over how supplier obligations in relation to energy efficiency and fuel poverty will be devolved. Full detail on the clauses can be found in the command paper. The 3 main UK political parties have committed to take forward the clauses as part of a new Scotland Bill after the general election in May 2015. This Bill will devolve these powers in law and the responsibility for these will shift to the Scottish Parliament. What about the powers agreed in the Scotland Act 2012? The powers previously agreed in the Scotland Act 2012 will continue to be devolved to the Scottish Parliament as planned. From April 2015, Scottish government legislation will replace stamp duty land tax and landfill tax in Scotland with the Land and Buildings Transaction Tax and Scottish Landfill Tax Revenue. Scotland will become responsible for the collection of the new taxes. From April 2015, current borrowing powers of up to £500 million will be extended and a new Scottish cash reserve will be created to help manage the new tax receipts. 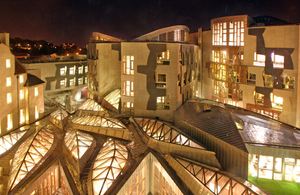 From April 2015, there will be a new £2.2 billion capital borrowing power for the Scottish Parliament. A limited version of the power was put in place in April 2013 to allow the Scottish government to fund £100 million of pre-payments for the Forth Road Crossing. A new Scottish rate of income tax will come into force in April 2016. This means the Scottish Parliament will set a new Scottish rate – with no upper or lower limit - which will apply equally to all of the reduced main UK income tax rates.